Drained of energy or vitality. Full of energy or vitality. Having an extremely offensive smell. To eat and/or drink noisily. You got the highest score in this test! Congratulations! 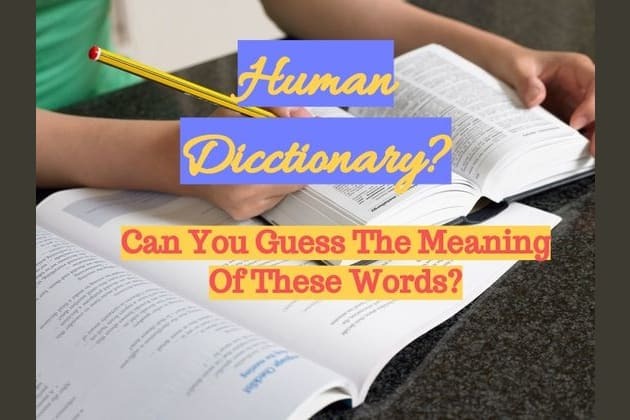 You really are a Human Dictionary. You were probably the best in your literature class and I would say you have some kind of humanistic studies degree, or a very high IQ to remember all of them. You are the kind of person that would suffer from Abibliophobia. Keep reading and learning! You did really well. We didn´t expect you to know all of the answers here, they were quite tricky! For the next time the definition of bible would be: To eat and/or drink noisily and Vagarious is Erratic and unpredictable in behaviour or direction (just in case you missed those two.) Anyways, keep up the good job. You are doing great! Better luck next time! We all suffer from it, modernity is killing us and our ability to pick up a good book and have a read has become difficult. You missed most of the words. We are sorry for that because you should know that a Vomitorium is not a place designed for vomit. Leave that cellphone for some hours every day and read a book, a big one, please!